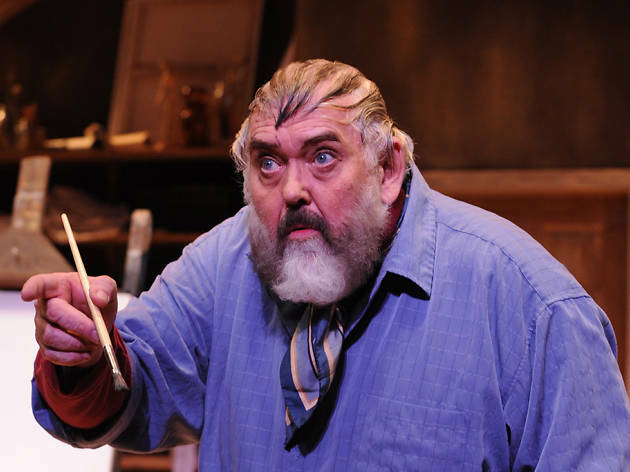 By all accounts, the great Zero Mostel (Fiddler on the Roof) blazed most brightly in live performance. So we owe writer-performer Jim Brochu a debt of gratitude for this extraordinary act of reincarnation (directed astutely by Piper Laurie), which restores the outsize actor to us in all of his daunting dimensions. From the moment Brochu spins around to face the audience, he is a Hirschfeld drawing come to pulsing life. You can’t help being swept up in the tornado. 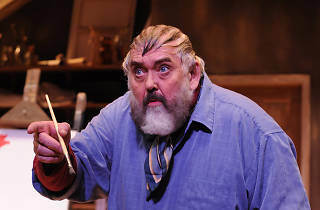 On November 5, Brochu reprises his 2012 show for one night as a benefit for the Actors' Temple.